Rising Pune Supergiants’ Ashok Dinda expressed relief after the team’s win via the Duckworth/Lewis method against Sunrisers Hyderabad, finally bringing to an end a run of four defeats in IPL. “It’s very nice to win the match. It was important. 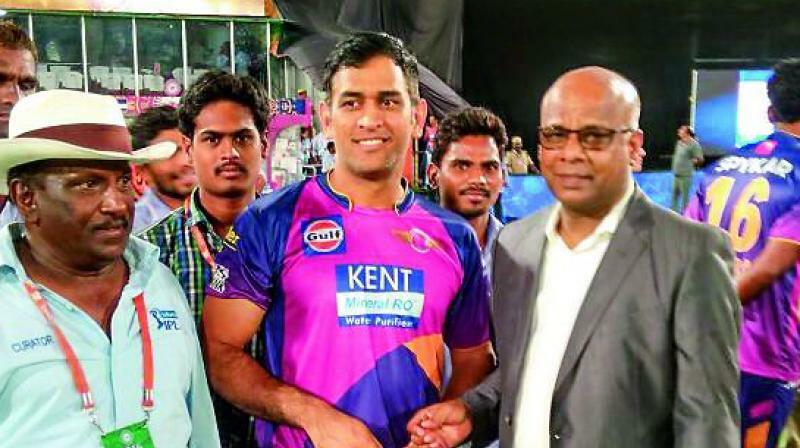 We played well, batting and bowling and fielding also,” Dinda, who is greatly backed by captain M.S. Dhoni, said at the post-match press conference late on Tuesday night. Electing to bowl after winning the toss, RPS restricted Sunrisers to a poor 118 for loss of eight wickets. In response, Pune made 94 for three in 11 over before rain interrupted the match. Replying to a query, Dinda, who was Man of the Match, said the rain did not help the team in any way. “No, sometimes it’s disturbing. Because, we are going and coming back again. 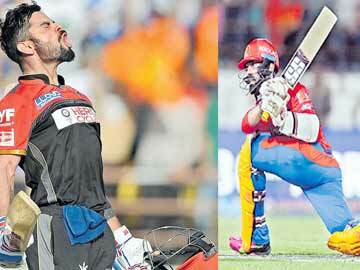 For batsmen, it is very tough,” he said. The state government, while sanctioning two lakh houses for rural, urban and GHMC areas in the state under 2BHK Housing Programme, also announced the unit cost and issued orders to this effect on Wednesday. All the houses will be constructed with total subsidy from the state government without any contribution from the beneficiary. The infrastructure cost per house is `1.25 lakh in rural areas and `0.75 lakh in urban areas of nine districts and GHMC. The entire programme in rural and urban areas will be implemented in all the districts by the district collectors and in Greater Hyderabad by the commissioner of GHMC. The allocations and channelisation of funds will be made by the housing department through the project monitoring unit constituted by the housing department for the purpose. All the district collectors/executive directors and the GHMC commissioner shall take necessary further action accordingly, the orders said. టీఆర్‌ఎస్ పార్టీకి హైకమాండ్ లేదని, తెలంగాణ ప్రజలే తమ పార్టీకి హైకమాండ్ అని పార్టీ అధినేత, రాష్ట్ర ముఖ్యమంత్రి కే చంద్రశేఖర్‌రావు చెప్పారు. ఆకుపచ్చ తెలంగాణను చూడాలన్నదే తన కోరికని అన్నారు. అనేక కష్టనష్టాలకోర్చి తెచ్చుకున్న తెలంగాణ ఆగం కావద్దనే బాధ్యత తలకెత్తుకున్నానని చెప్పారు. సరిగ్గా 15 ఏండ్లక్రితం ఇదేరోజు ఉద్యమం ప్రారంభించినప్పుడు అవహేళన చేసినవాళ్లు పోయారని, కానీ.. ఆ రోజు ఎగరేసిన గులాబీ ఎండా ఎగురుతూనే ఉన్నదని ముఖ్యమంత్రి అన్నారు. బుధవారం టీఆర్‌ఎస్ 15వ ఆవిర్భావ దినోత్సవం సందర్భంగా ఖమ్మం నగరంలోని ఎస్‌ఆర్‌అండ్‌బీజీఎన్‌ఆర్ డిగ్రీ కళాశాల మైదానంలో బుధవారం రాత్రి జరిగిన భారీ బహిరంగసభలో ముఖ్యమంత్రి మాట్లాడారు. పాలేరు ఉప ఎన్నికలో మంత్రి తుమ్మల నాగేశ్వరరావును బ్రహ్మాండమైన మెజారిటీతో గెలిపించాలని ఆ నియోజకవర్గ ప్రజలకు విజ్ఞప్తిచేశారు. సీఎం ఉపన్యాసం ఆయన మాటల్లోనే..
Russian billionaire and founder Yuri Milner held a screening of director Matthew Brown's "The Man Who Knew Infinity", a biopic on Ramanujam, over the weekend at the Silicon Valley, which was attended by the Who's Who of US super-elite, according to a source close to the film's unit. "Sundar Pichai (CEO, Google), Sergey Brin (founder, Google), Mark Zuckerberg (founder, Facebook), Brendan Iribe (CEO of Oculus VR), and some other fifty other '1 percenters' of Silicon Valley were at Yuri Milner's house in Los Altos. Yuri hosted a very private screening and dinner for the film and they came out with tears," said a source. 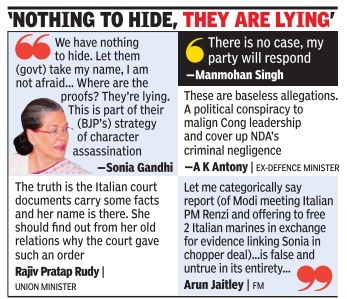 After a showdown over central rule in Uttarakhand, Congress and BJP clashed over `Choppergate' in Parliament, with Congress chief Sonia Gandhi rejecting allegations over her name figuring in Italian court documents by saying she had done nothing wrong and demanding a quick and impartial probe. The court documents relating to the conviction of two Italian executives for graft in the chopper deal refer to “Signora Gandhi“ as a “driving force“.The papers also refer to former PM Manmohan Singh, Sonia's political secretary Ahmed Patel and senior leader Oscar Fernandes, along with former national security adviser M K Narayanan. తమిళ చిత్రం కత్తి రీమేక్‌తో చిరంజీవి సెకండ్ ఇన్నింగ్స్‌ను ప్రారంభించనున్న విషయం తెలిసిందే. వి.వి.వినాయక్ ఈ రీమేక్‌కు దర్శకత్వం వహించనున్నారు. ఈ నెల 29న చిత్రాన్ని లాంఛనంగా ప్రారంభించేందుకు సన్నాహాలు చేస్తున్నట్లు తెలిసింది. మే నెల ప్రథమార్థం నుంచి రెగ్యులర్ షూటింగ్‌ను మొదలు పెట్టనున్నట్లు సమాచారం. ఈ చిత్రానికి కత్తిలాంటోడు అనే టైటిల్ పరిశీలిస్తున్నారు. లైకా ప్రొడక్షన్స్‌తో కలిసి రామ్‌చరణ్ ఈ చిత్రాన్ని నిర్మించనున్నారు. Not all love stories end up on a bed of roses. Here is a probable case of a love gone sour.Or let's just say , a relationship (whatever it was) that has just turned into a nightmare. Or even better, a story that unfolded rather strangely . The woman unabashedly confesses that she was in love with him, so any email exchanged between them, however intense, comes from that emotion. The man claims that there was no love at all, and the relationship was a figment of her `imaginary' world. Or maybe, they did share a past but he wants to write it off for reasons best known to him. Only Kangana Ranaut and Hrithik Roshan can tell us the whole truth. The rest will always be speculation and assumption. Even if the impostor had privy to their private emails, he showed no intention to blackmail either of them. 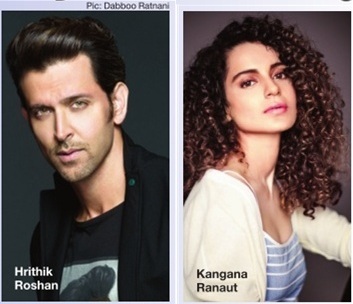 Neither did Kangana demand nor blackmail Hrithik for anything over the years. Chief Minister K. Chandrasekhar Rao took over the commercial taxes ministry from Mr Talasani Srinivas Yadav in a reshuffle of portfolios that he effected on Monday. 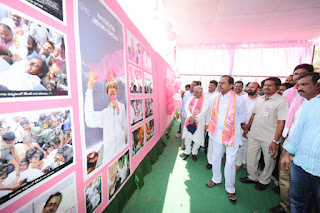 The Chief Minister also took over Mission Bhagiratha which was part of Mr K.T. Rama Rao’s rural development portfolio. The rest of the ministry has been given to Mr Jupally Krishna Rao. Mr Rama Rao was given additional charge of industries, which was taken off Mr Krishna Rao, and mines and geology which was previously held by Mr T. Harish Rao. Sources said the Chief Minister wanted the two portfolios to go together. 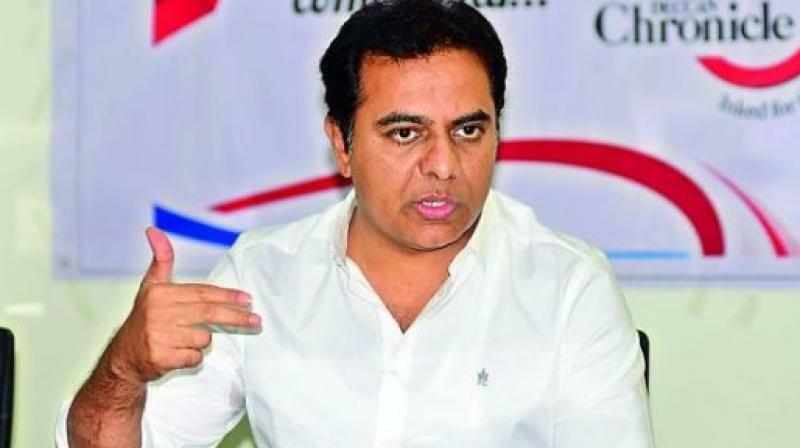 Mr Rama Rao, who retains municipal administration and IT, also got the commerce, public enterprises and NRI affairs ministries. వ్యక్తిగత, వృత్తి జీవితంలో ఎన్నో ఎత్తుపల్లాల్ని చవిచూశానని, ఈ ప్రయాణంలో జీవన సత్యాల్ని తెలుసుకున్నానని చెప్పింది మలయాళ సుందరి నయనతార. 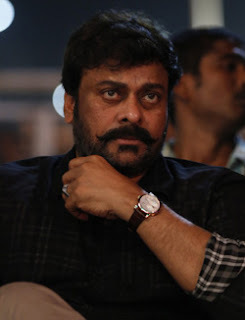 ప్రస్తుతం స్క్రిప్ట్‌లను ఎంచుకునే విషయంలో చాలా జాగ్రత్తలు తీసుకుంటున్నానని, బాధలన్ని మరచిపోయి ప్రశాంతమైన జీవితాన్ని గడుపుతున్నానని తెలిపింది. ప్రభుదేవాతో విఫల ప్రేయాయణం తర్వాత నయనతార కెరీర్ ముగిసిపోయిందని అనుకున్నారు. అయితే అందరి అంచనాల్ని తలక్రిందులు చేస్తూ తిరిగి విజయాల బాట పట్టింది ఈ సొగసరి. ప్రస్తుతం ఆమె పలు భారీ చిత్రాల్లో నటిస్తూ బిజీగా వుంది. ఈ సందర్భంగా నయనతార మాట్లాడుతూ మనం సక్సెస్‌లో వున్నప్పుడు ప్రతి ఒక్కరూ పొగడ్తలతో ముంచెత్తుతుంటారు. మీడియా వారు కూడా పాజిటివ్‌గా వార్తలు రాస్తారు. ఫెయిల్యూర్స్ మొదలవగానే అంతకాలం పక్కనున్న వాళ్లందరు తప్పుకునే ప్రయత్నం చేస్తారు. బాగా తెలిసిన వారు కూడా మనమెవరో తెలియనట్టే నటిస్తారు. Allu Arjun-starrer Telugu actioner Sarrainodu has minted record collections on the first day at the Tollywood box office. Despite opening to mixed reviews, managed to collect a whopping Rs.22 crore on its first day worldwide, making it the best ever opening for the actor’s film. It has become the third biggest opener of 2016 after Sardar Gabbar Singh and Nannaku Prematho. “The film has raked in Rs.22 crore on first day worldwide. While the critics may not have enjoyed the film, the masses seem to have loved it. The opening weekend numbers are very crucial and by Monday if there isn’t a major drop, it’s good from the business perspective,” trade analyst Trinath said. Directed by Boyapati Sreenu, the film also stars Rakul Preet Singh and Catherine Tresa. The film is also performing well at the box office overseas. During the meeting, EPFO’s Central Provident Fund Commissioner V.P. Joy discussed about the unrest regarding the PF withdrawal norms. Mr Joy emphasised the need for effective communication with employees and employers and stated that frequent withdrawals by employees on each job change, which is also encouraged by employers, need to be addressed by good service and simple interface. Chief Justice of India T S Thakur almost broke down on Sunday as he lamented that the judiciary had been made the scapegoat for the mounting pendency of cases, leading PM Narendra Modi to offer a closed-door meeting with the judiciary to sort out the problem. “It is not only in the name of a litigant or people languishing in jails but also in the na me of development of the country , its progress, that I beseech you to rise to the occasion and realise that it is not eno ugh to criticise. 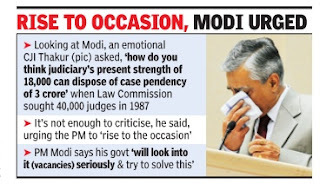 You cannot shift the entire burden on the judiciary ,“ an emotional CJI said at the conference of chief ministers and chief justices, his voice choking. The CJI said the Law Commission had recommended in 1987 that the judge-population ratio be increased to at least 50 judges per million population. However, three decades later, the ratio remained an abysmal 15 judges per million people in a country which had added 25 crore in population since then, he added. In a major setback to YSR Congress, Supreme Court on Thursday asked the suspended MLA R K Roja to tender an apology to the Assembly by writing a letter. The apex court felt that the whole issue had arisen out of inexperience of the member and her inability to understand the rules. The court also advised the Assembly to settle the matter amicably. However, the court defended the action by the speaker and stated the chair has power to suspend the member for a year. The Supreme Court bench made this observation during a hearing of the petition Roja filed against her suspension from the Assembly for a year. Senior advocate Indira Jaisingh, who appeared on her behalf, argued that the Assembly had no powers to suspend a member for a year and the provision which allows the suspension was amended later to justify the decision of the speaker. 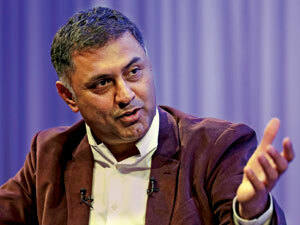 A group of investors in SoftBank Group Corp. has called on the board to investigate and possibly dismiss Nikesh Arora, the company’s second in command, in a sharply critical, 11-page letter that questioned his track record and qualifications as president and heir apparent to billionaire founder Masayoshi Son. The request came in a letter to SoftBank’s board dated January 20 from the American law firm Boies Schiller & Flexner and signed by Matthew Schwartz, a partner at the elite New York firm, without identifying the shareholders or how much stock they own. 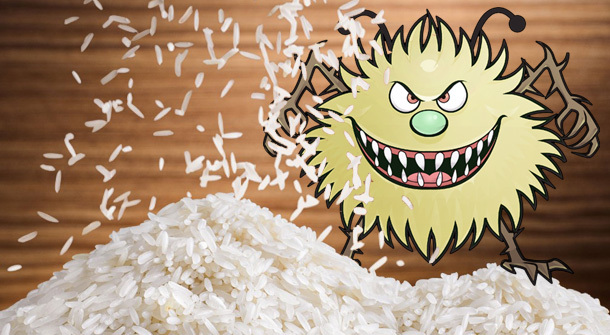 The critique of Arora, which hasn’t been made public, questions whether the executive has conflicts of interest due to his existing role as a senior adviser to the private equity firm Silver Lake. It also suggests he may have been involved in past wrongdoing and generally poor business decisions. A separate letter from one investor to the board of Sprint Corp., which SoftBank controls, asks for his removal as a director there for similar reasons. In addition to these allegations, the investors criticised Arora’s allegedly “poor investment performance and a series of questionable transactions” during his tenure. “Despite these issues, the SoftBank board saw fit to make Mr. Arora the third-highest paid executive in the world without any track record of accomplishment at the company,” wrote Schwartz. The last few days have been quite eventful for Dipa Karmakar. From no-hoper to becoming the only Indian gymnast to represent India at the Rio Olympics, and the first-ever woman to do so, the 22-year-old from Agartala has suddenly become the cynosure of all eyes. How has life been in the last few days? (Smiles) It has been quite good. But let me make it clear that I’m not a star. There’s nothing like that. I don’t think on those lines. My job is to keep working hard and winning laurels for the country. Yes, it is a dream come true for me, but the real journey has just started. The immediate target is to do well at Rio, and I hope to win a medal. The A.. Aa.. unit got a pleasant surprise on Wednesday as Pawan Kalyan walked into the sets. The Power Star walked in casually wearing a white shirt and lungi, perhaps to meet his good friend, the film’s director Trivikram Srinivas. Nithiin and Samantha are the lead pair in the film and the unit was shooting a song on Nithiin and others at a private studio in Jubilee Hills. The focus has been on him ever since his girlfriend, 24-year-old Pratyusha Bannerjee, allegedly committed suicide on April 1. 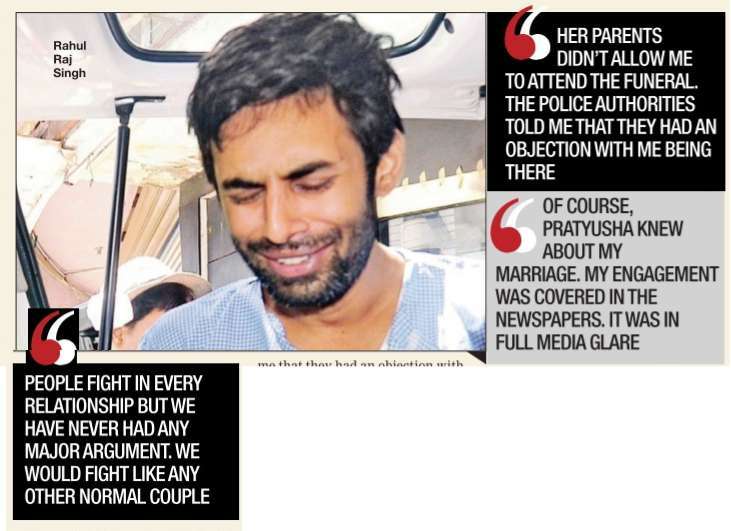 Rahul Raj Singh says that he is “still to come to terms with her death“ and is “unable to sleep“ since the unfortunate incident took place. He speaks at length about the woman he was soon going to marry and the accusations levelled against him. What do you have to say to the reports that she underwent an abortion a few days before the incident and also the bank transactions being made during March? After she told me that she had missed her periods, we went to the doctor for the pregnancy test. However, we mutually decided to abort it since we were not married and only living in together. I went with her to the doctor for the abortion, but since there was a long waiting, she told me to leave. I, in fact, went the following day to the same doctor to get medicines prescribed for her. We decided to terminate the pregnancy thinking about our future as we were planning to get married in November. The post-mortem reports may have come out the very next day . Why are they talking about it now? Someone has circulated a recording claiming it to be hers where she speaks about the reason behind committing suicide, but those who knew Pratyusha will vouch that it wasn't her.The allegations don't matter to me. I don't want to comment on this. అవి కోటలు కాదు. వాటి గోడలు మాత్రం కోటలను తలపిస్తాయి! ఆ ప్రాంతంలో మామూలు ప్రజలకు ప్రవేశం నిషిద్ధం.. అలాగని అదేమీ కంటోన్మెంట్ ఏరియా కాదు! అక్కడేమీ క్షిపణులు తయారుకావు.. శత్రుదేశాలకు చేరకూడని శాస్త్ర పరిజ్ఞానాలూ అభివృద్ధి చేయడం లేదు! అయినా అంతా రహస్యం! నిజానికి అక్కడ తయారయ్యేవి పప్పలు.. ఉప్పులు.. సాస్‌లు, బిస్కెట్లు.. కారప్పొడి.. మిరియాల పొడి, బిర్యానీ పౌడర్, పసుపు, అల్లం వెల్లుల్లి పేస్టు, పావ్‌బాజీ మసాలా, సబ్జీ మసాలా, వంట నూనెలు.. సకల రకాల సాస్‌లవంటి వంట సరుకులే! మరి ఇంతటి సాధారణమైన ఉత్పత్తుల తయారీ, ప్యాకింగ్‌ను ఇంత గోప్యంగా.. అత్యంత రహస్యంగా అందులోనూ పదినుంచి 20 అడుగుల ఎత్తయిన గోడల మధ్య ఎందుకు చేస్తున్నారు? -పాలు మొదలు సబ్జీ మసాలా వరకు..
-బొక్కల నూనె నుంచి.. బిస్కెట్ల దాకా! -నో లైసెన్స్.. అన్ని బ్రాండ్లు వారివే! It seems the southern film industry has a new horror queen in Nayanthara. After featuring in Mayuri last year, the actress will return to the horror genre with upcoming film. According to sources, the makers have decided to call it Tik Tik Tik as a tentative title. To be directed by Debutante Das Ramaswamy, the film is set to be released in both Tamil and Telugu. “Nayanthara won a lot of accolades for her performance in Mayuri. People gave an overwhelming stamp of approval for her role in this genre, which is why the producers were keen on casting her for this film. After a few months doing different roles, the actress is keen to try her hand at horror again,” said a source from the film’s unit. 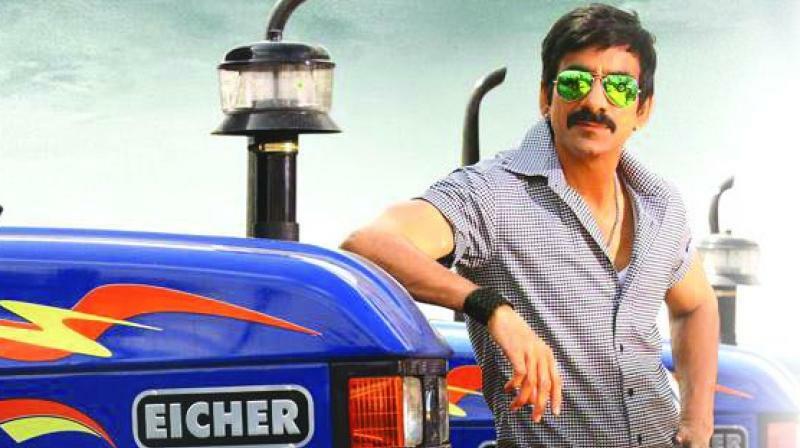 Since the release of Bengal Tiger last December, Ravi Teja has been pretty much idle. The actor was supposed to start a film with producer Dil Raju and the film was also launched officially, but it was shelved due to financial issues. There were also reports that the actor would be teaming up with debutant director Chakri for the film Robin Hood (tentative title) but it seems that the project is still not finalised. The film was supposed to be produced by Damodara Prasad of Kalyana Vaibhogame fame, but he backed out. According to a source, the story was weak and the producer wanted a few changes, but the director didn’t oblige. The project has now been taken over by Danayya. Two weeks after going under the scalpel in a bid to add three inches to his 5.7 feet height, 22-year-old techie, S Nikhil Reddy , blamed “lies and half-information“ allegedly dished out by doctors for a decision that he is now ruing. Left bed-ridden and needing four people to carry him from one place to another when he is not lying on the stretcher, Nikhil Reddy said it is not the intense pain resulting from the limblengthening surgery that troubles him, but what hurts him is the `half-truths' that doctors at Global Hospitals fed him. He claimed that never ever during the counselling in the run-up to the surgery on April 5, did the surgeons tell him about the long-term pain and the immobility he had to bear with. “I feel cheated as I was never told about the adverse side-effects before the surgery . 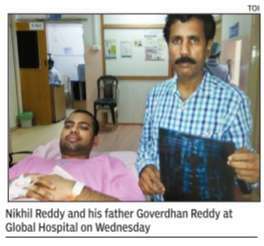 I was told that pain would be little and tolerable, but it is far from truth,“ said Nikhil Reddy , who was discharged from the hospital on Wednesday. ఏమాత్రం కష్టపడకుండా.. అత్యంత సులభంగా.. ఎవరికీ తెలియకుండా కల్తీ చేసేందుకు అవకాశం ఉన్నది బియ్యం! దీనికి బొక్కల నూనె తయారు చేసినట్టుగా ఎత్తయిన గోడలుండే కార్ఖానాలక్లర్లేదు.. పాలను కల్తీ చేసేలా పెద్ద వ్యవస్థ కూడా ఉండాల్సిన అవసరం లేదు! మట్టి పెళ్లలు.. దుబ్బ.. ఊక.. నాసిరకం బియ్యం! ఈ నాలుగూ ఉంటే చాలు.. గల్లా పెట్టె గలగలలే!! ఈ లాభాలను ఇంకొంచెం పెంచేందుకు తూకంలో అన్యాయం.. ప్యాకింగ్‌లో మోసం! అవిసరిపోవంటే.. చైనా నుంచి రంగప్రవేశం చేశాయ్.. ప్లాస్టిక్ రైస్! !దేశంలోని చాలా రాష్ర్టాల్లో ఎవర్‌గ్రీన్ బిజినెస్ ఏదైనా ఉందంటే.. అది బియ్యం! ఏది ఉన్నా లేకున్నా కాసిన్ని బియ్యం ఉంటే చాలు.. పప్పో పచ్చడో అవీ లేకుంటే పచ్చిపులుసో.. ఆ పూట గడిచిపోవడానికి!! అందుకే బియ్యానికి అంత డిమాండ్! అంతటి డిమాండ్ ఉంది కనుకే బియ్యం వ్యాపారానికి అంత ఫుల్లు గిరాకీ! ఈ గిరాకీని పెంచుకోడానికి కక్కుర్తిపడుతున్న వ్యాపారులు జనం ప్రాణాలతో ఆటలాడుకుంటున్నారు. 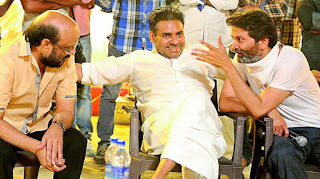 అత్యంత సాధారణంగా బియ్యం కల్తీ అయ్యేది మట్టిపెళ్లలు, ఊక, నూకలు వంటివాటితో. వీటిని కలుపడం ద్వారా ఐదు నుంచి పదిశాతం బస్తా బరువు పెంచుతున్న వ్యాపారులు.. ఆ మేరకు లోపల బియ్యాన్ని కాజేస్తున్నారు. The histopathological examination of tissues of late TV actress Pratyusha Banerjee’s uterus revealed that she was pregnant and had undergone abortion before her tragic death on April 01. The report of forensic test, conducted at JJ Hospital, has been handed over to Bangur Nagar police station for further investigation. On April 03, FPJ was ‘first to publish that 25-year-old Pratyusha was pregnant’, weeks before this fresh twist brews in the case. A white thick fluid was found in her uterus at the time she committed suicide. Her uterus tissues were sent for forensic laboratory test whose report endorses FPJ’s claim. Though the gestational age is still not known but Pratyusha had taken ‘oral pills’ to abort her pregnancy in early March. Sources, close to Pratyusha, revealed that her beau Rahul Raj Singh, who is believed to be the main suspect in the high profile case, did not accompany Pratyusha to the doctor at the time she went for abortion. Four women constables turned Good Samaritans, extending a helping hand for a woman in labour pain to deliver the baby on the pavement here on Tuesday afternoon. 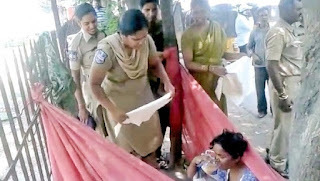 The four women cops from Narayanguda police station donned the hats of midwives and used a saree to create a makeshift labour room by the roadside. The woman gave birth to a baby boy and timely support ensured a safe delivery. Narayanaguda police inspector S Bheem Reddy received a distress call on Tuesday afternoon, informing that a pregnant woman has collapsed on the road near Shanti theatre near Narayanaguda YMCA Cross roads. 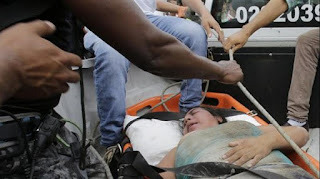 The woman was writhing in pain but there was no body to help her out. The inspector immediately dispatched a team including four women constables to help the woman. However, the police team who reached the spot was surprised to see the woman was wriggling in labour pain. Realising that she would deliver a baby anytime, the police personnel initially thought of shifting the woman to the Government Maternity Hospital in King Koti, which was approximately three kilometres away from the spot. 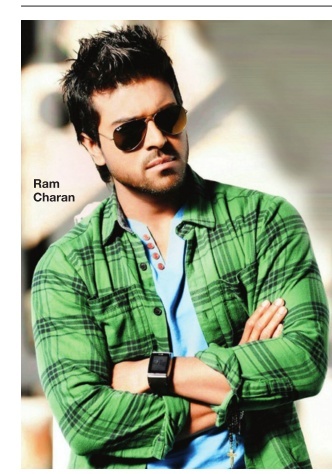 Ram Charan, who is currently shooting a yet to be titled Telugu remake of Tamil blockbuster Thani Oruvan, shared that in terms of movie scripts, Bollywood should learn from the scripts coming from South Indian cinema. The actor said that he would want South Indian film industries to adapt the “production values of Bollywood“. “I would adapt the production values of Bollywood and the filmmaking, which is very nice in this industry ... is far superior. In those terms, we need to buckle up here,“ Ram said in an interview during his visit to the capital. “In terms of script, Bollywwod should learn from South Indian scripts. Not talking about the fights and action, I am talking about the drama bit. It is very strong still,“ he added. At the audio launch of Vikram Prabhu’s upcoming film Wagah, Ulaganayagan Kamal Haasan recalled his association with the former’s grandfather, the legendary actor Sivaji Ganesan. “We worked together in Thevar Magan, which was produced by my banner and had dialogues written by me. I used to wonder, and get jittery about going to him and explaining the dialogue. But he was like a child at heart, and if he liked the lines, he would give me a big pat on my back. 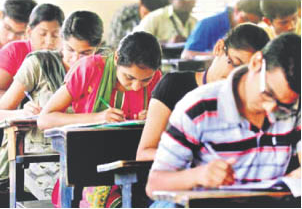 AP Minister Ganta Srinivasa Rao on Monday instructed the officials to make elaborate arrangements for AP EAMCET-2016 to be held on April 29 in Telangana and Andhra Pradesh. Reviewing the arrangements for the EAMCET at Gateway Hotel in Vijayawada on Monday with the regional coordinators, Srinivasa Rao said AP EAMCET-2016 will be conducted in 546 test centres and the results along with the ranks will be announced on May 9 considering the Intermediate weightage. The list of candidates who are repeatedly attending the EAMCET exam is submitted to the intelligence and they are under serious vigilance. He said a total of 2,92,296 applications have been received of which 1,89,141 in engineering stream and 1,03,155 in agriculture and medical stream. Oil prices slid on Monday after a meeting between major producing nations on a proposed output freeze fell apart, leaving the world grappling with an excess of unwanted crude. Oil exporting nations, including non-OPEC Russia, had gathered in the Qatari capital of Doha for what was expected to be the rubber-stamping of a deal to stabilise output at January levels until October. But the deal crumbled when OPEC heavyweight Saudi Arabia demanded that Iran join in despite its repeated assertions it would not do so until it had reached pre-sanctions levels of output. “Saudi Arabia intentionally torpedoed the agreement and was willing to accept its failure. This has severely damaged the credibility of oil producers in general and of OPEC in particular,” Commerzbank said in a note. 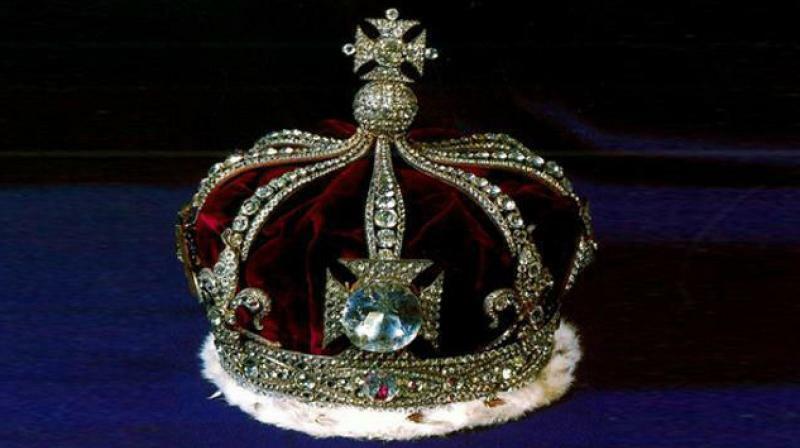 The Centre on Monday informed the Supreme Court that India cannot stake claim to the 105.602-carat Kohinoor diamond, one of the world’s largest diamonds which is now part of the British crown jewels and kept in the Tower of London, as it was not stolen by the British or forcibly taken out from India. It is set in the Queen Mother’s Crown. Solicitor-general Ranjit Kumar submitted this information before a bench comprising Chief Justice T.S. Thakur and Justice Uday Lalit which was hearing a PIL filed by the All-India Human Rights and Social Justice Front seeking a direction to the government of India to get back the Kohinoor diamond. The Solicitor-general, quoting a note from the ministry of culture, said originally the diamond was taken from a mine in Masulipatnam in Andhra Pradesh, on the riverbed of the Godavari. Before the release of Loafer, Abhishek Nama and Kaali Sudheer came to my office and requested me to sign five movies under their banner. Likewise, Muthyala Ramdas also asked me to do a film for his banner. However, I refrained because I realised that they had a hidden agenda. They wanted to tie up with me only so that they can make me liable for their losses and financial burdens by announcing films with me. 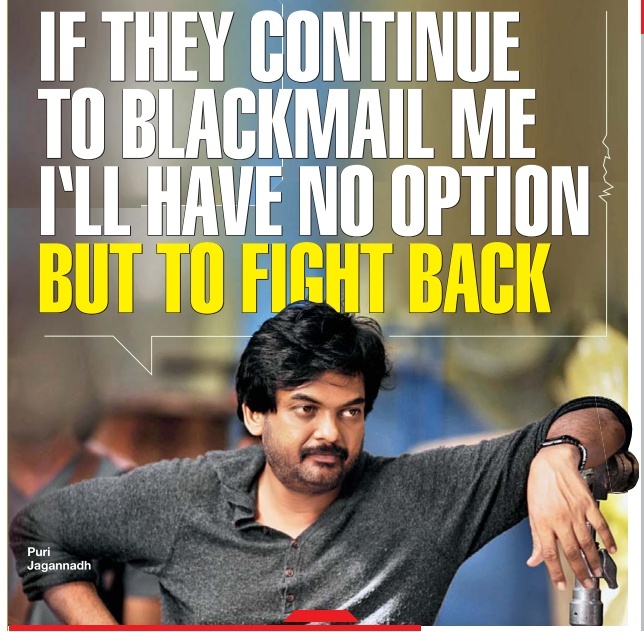 My doubts proved to be right.During Loafer's promotions, Muthyala Ramdas stated to the press: `Puri Jagannadh is distributor's director... if we end up suffering losses, he will take care of us. He is such a nice gentleman...' Why did he have to say that? Sudheer has now been alleging now that he has nothing to do with Loafer; but fact is that he told me, `Puri sir, we bought this film only because of you...We paid `7.5 cr for the Nizam rights...' Later, I found out from the producer that it wasn't true. They paid less than half of that sum. పాలు.. మనిషి జీవితంతో విడదీయరాని అనుబంధం ఏర్పర్చుకున్న అమృతం! మన శరీర ఆరోగ్యానికి కావాల్సిన విటమిన్లు, మినరల్స్ లభ్యమయ్యేది పాలలోనే! దేహాన్ని దృఢంగా మార్చడంలో కీలకపాత్ర పోషించే ప్రొటీన్లకు కేరాఫ్ అడ్రస్ పాలు! ఎండలో తప్ప ఇంకెక్కడా దొరకని విటమిన్ డీ పుష్కలంగా దొరికేదీ పాలలోనే! ఎదిగే పిల్లలకు, మహిళలకు అవసరమయ్యే కాల్షియం అధికమొత్తంలో అందించే శక్తి ఉన్నది పాలకే! పసి పిల్లల సమగ్ర పెరుగుదలకు అవసరమైన పోషకాలన్నీ గుదిగుచ్చినట్టు ఉండేది కూడా పాలలోనే! ఆ మాటకొస్తే పసికందులకు మొదటి ఆరు నెలలు పాలే సంపూర్ణ ఆహారం! కానీ.. ఈ రోజుల్లో మనం తాగే పాలలో ఏమేం ఉంటాయో తెలుసా? మన శరీరంలోకి ఈ-కొలీ బ్యాక్టీరియాను ప్రవేశపెట్టే అపరిశుభ్రమైన నీళ్లు ఉన్నాయి! పాలను చిక్కగా కనిపించేలా చేసేందుకు.. పంటలకు వేసే యూరియా ఉంది! ఉప్పుంది.. బట్టలుతికే సర్ఫ్ ఉంది.. వేరుసెనగ పిండి ఉంది.. సోడియం హైడ్రాక్సైడ్ ఉంది.. హైడ్రోజన్ పెరాక్సైడ్ ఉంది.. సోడియం కార్బొనేట్ ఉంది! మొదట చెప్పినవన్నీ మనిషిని ఆరోగ్యవంతునిగా తీర్చిదిద్దేవైతే.. మనకు తెలియకుండా మనం తాగే పాలల్లో కలుస్తున్నవి మన దేహాన్ని, దేహంలోని కీలక అవయవాలను.. మనిషి ఎదుగుదలను.. మన పిల్లల మనోవికాసాన్ని పగబట్టినట్టు పాడుచేసేవి!! The Centre will issue an executive order to ensure contract workers get a minimum wage of Rs 10,000 per month, Union Minister of State for Labour and Employment Bandaru Dattatreya said on Sunday. "It is the endeavour of the Central government to make reforms in labour laws and to proceed from minimum wage to universal wage. Because the Opposition is not cooperating in the Parliament, we will do it through an executive order," Dattatreya told reporters here. "Because the Parliament is not functioning properly, we don't want to wait and we want to go ahead with some executive orders for the welfare of the workers," he said. He said the government has decided to make changes to rule 25 of the Contract Labour (Regulation and Abolition) Central Rules and every contract worker will be entitled to get Rs 10,000 per month. "We have framed this rule and sent to the Law Ministry (for approval) and shortly a notification will come and after this all the state governments will implement this decision," he said. Netaji Subhas Chandra Bose's aide, Nizamuddin, at 116 years of age, could be the oldest living man on the planet, going by the documents his family has submitted to State Bank of India's branch near Dhakwa village in Azamgarh district of UP. The bank has entered Nizamuddin's date of birth as January 1, 1900, which makes him older than the oldest man in 2016 as per the Guinness Book of Records: 112-year-old Israel Kristal of Israel. While Kristal lived through the two World Wars before moving to Israel, Niza muddin fought for the country's freedom in Si ngapore and Burma (now Myanmar) as a so ldier in Netaji's Indian National Army (INA), before returning to his native Azamgarh from Rangoon in 1969. He also worked as Bose's driver and bodyguard. “We opened babuji's bank account at age of 116 years to see the happiness on his face. Also, the family has applied for pension,“ said Nizamuddin's son Akram Shaikh. The family submitted Nizamuddin's repatriation certificate from INA as age proof which the bank accepted. Nizamuddin's wife Habibunnisa, a Myanmarese national of Indian origin, is 109 years old. 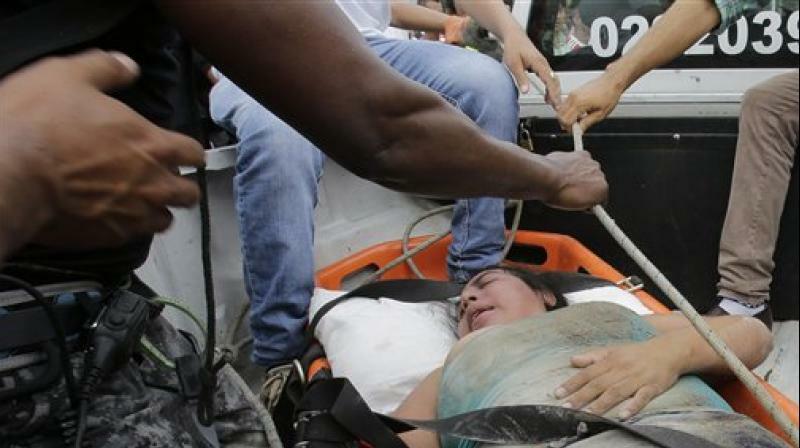 The death toll from Ecuador's biggest earthquake in decades soared to 262 on Sunday as survivors cobbled together makeshift coffins to bury loved ones, lined up for water and sought shelter beside the rubble of their shattered homes. President Rafael Correa rushed home from a trip to Italy to supervise the emergency. "The immediate priority is to rescue people in the rubble," he said on Twitter. "Everything can be rebuilt but lives cannot be recovered and that's what hurts the most," Correa told state radio. The Telangana State Road Transport Corporation (TSRTC) has taken up a unique scheme to attract the commuters in Hyderabad city. The TSRTC is going to provide Wi-Fi in Hyderabad city buses to attract the commuters. Speaking to the media here on Wednesday, RTC executive officer Purushotham said the Wi-Fi facility would be provided in AC buses and Metro Deluxe buses. The RTC will provide 30 minutes free Wi-Fi facility. According to him modification in JNNURM buses will be completed in phases. He said that modification will be made in the bodies of 300 buses this year and 350 buses in the coming year. Breaking her silence on former manager Prakash Jaju’s claims on her alleged suicide attempts, actress Priyanka Chopra says he should not have been given attention by the media as his statements were not authentic. “This is utter… First of all, it’s so sad that Indian media has given credibility to the man, who was in jail because of harassing me, without checking the history who the person is. So, I have nothing to say because there is no credibility to this person, who media is giving credibility to,” she said. While many people believe that Priyanka Chopra owes her success to her team, the Bollywood actress, who is now a globally recognised face due to her stint in American TV series “Quantico” and soon to release Hollywood film “Baywatch”, says that the credit for her work goes “only and solely” to her and nobody else. “I do have a phenomenal team because they handle two continents of my scheduling and more than anything else, they make sure that nobody gets pissed off because I am spread too thin,” Priyanka, who was in the Capital for a day to receive her Padma Shri honour from President Pranab Mukherjee. When it comes to districtwise break up, private hospitals in Karimnagar topped with 81.1%, followed by Nal gonda with 82.2% and Warangal with 80.7%. In Ranga Reddy and Hyderabad districts, they were found to have a Caesarean section rate (CSR) of 74.7% and 71.6% respectively . Tripura stands at 73.3% and West Bengal 70.9%, said the re port released at a workshop organi sed by UNICEF with the Telanga na government and the Centre for Economic and Social Studies. Hyderabad sizzled at 43ºC on Wednesday, the highest temperature recorded in April in 43 years. The highest maximum temperature recorded in Telangana state on Wednesday was 44ºC at Ramagundam. The Met department has warned that heat wave conditions will continue in TS till April 16, including dry weather conditions. On April 16, 2010, Hyderabad had recorded 42.7ºC, while the all-time record for April was 43.3ºC on April 30, 1973. Wednesday was thus the hottest day in April in 43 years . 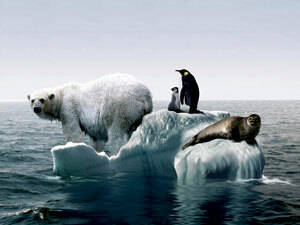 In fact, since 2010, the mercury had not crossed the 40ºC mark till this month. Wednesday’s temperature was 5ºC above normal. 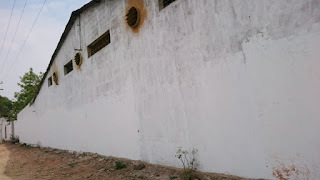 The maximum temperature at Kothagudem was 44ºC and Sattupalli was at 43ºC. Bhadrachalam recorded 43ºC and Khammam was at 42ºC. Mr M. Laxminarayana, working in the film industry in Hyderabad and a native of Manuguru, said that the temperature at Manuguru, on his digital device, showed 50ºC on Wednesday. This, however, is not an official figure. మూడు దశాబ్దాలుగా ఉత్తర, దక్షిణ భాషా సినీరంగాల్ని ఏలుతున్న తలైవా సూపర్‌స్టార్ రజనీకాంత్, హైదరాబాద్ పతాకాన్ని వినువీధిలో ఎగరేసిన టెన్నిస్ ఐకాన్ సానియా మీర్జా, హాలీవుడ్ తారగా మారిన బాలీవుడ్ హీరోయిన్ ప్రియాంకచోప్రా, ప్రముఖ పత్రికాధినేత రామోజీరావు, తెలుగు-హిందీ సాహిత్యవేత్త యార్లగడ్డ లక్ష్మీప్రసాద్ తదితరులు రాష్ట్రపతి ప్రణబ్‌ముఖర్జీ చేతుల మీదుగా పద్మ అవార్డులు అందుకున్నారు. మంగళవారం రాష్ట్రపతిభవన్‌లో జరిగిన పౌరపురస్కారాల కార్యక్రమంలో మొత్తం 56 మంది పురస్కార గ్రహీతలను సత్కరించారు. ఉపరాష్ట్రపతి హమీద్ అన్సారీ, లోక్‌సభ స్పీకర్ సుమిత్రామహాజన్, ప్రధాని నరేంద్రమోదీ, హోంమంత్రి రాజ్‌నాథ్‌సింగ్, బీజేపీ అధ్యక్షుడు అమిత్‌షా, పలువురు కేంద్రమంత్రులు ఈ కార్యక్రమానికి హాజరయ్యారు. రజనీకాంత్, రామోజీరావు, మాజీ డీఆర్‌డీవో చీఫ్ వీకే ఆత్రే, ప్రముఖ గాత్రవిద్వాంసురాలు గిరిజాదేవి, చెన్నై క్యాన్సర్ ఇన్‌స్టిట్యూట్ చైర్‌పర్సన్ వీ శాంత భారతదేశపు రెండో అత్యున్నత పురస్కారమైన పద్మవిభూషణ్ అందుకున్నారు. సానియా మీర్జా, యార్లగడ్డ లక్ష్మీప్రసాద్, మారుతి సుజుకి ఇండియా చైర్మన్ ఆర్సీ భార్గవ, విద్యావేత్త ఇందూజైన్, అమెరికా మాజీ రాయబారి రాబర్ట్ డీ బ్లాక్‌విల్, బాలీవుడి గాయకుడు ఉదిత్ నారాయణ్, మణిపురీ నాటక రచయిత హేస్నామ్ కన్హయ్యలాల్, ప్రముఖ శిల్పి రాంవంజి సుతార్, ఇండాలజిస్టు ఎన్నెస్ రామానుజ తాతాచార్య, చిన్మయ మిషన్ అంతర్జాతీయ విభాగాధిపతి స్వామి తేజోమయానంద, వేదాంత ప్రబోధకుడు దయానంద సరస్వతి (మరణానంతరం) పద్మభూషణ్ పురస్కారాలు అందుకున్నారు. 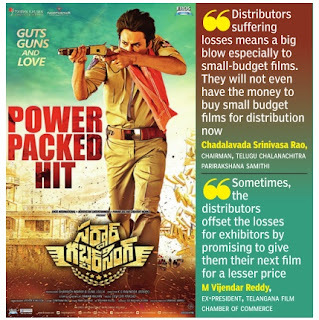 The lacklustre performance of the much-hyped `Sardaar Gabbar Singh` at the box-office has been a big blow to the Telugu film industry, with all stakeholders witnessing first-hand the downside of the spurt in big-budget films. If reports are to be believed, the film was made with a budget of Rs 70 crore and distributors may have paid as much as Rs 100 crore to get distribution rights. 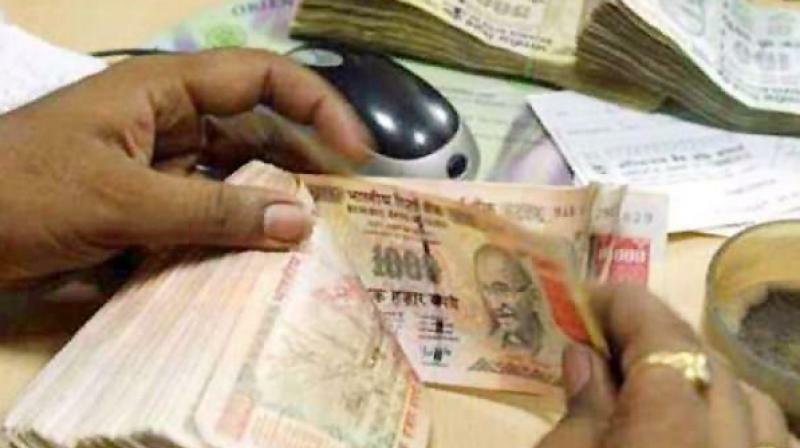 However, indicating the extent of loss incurred, sources suggest that the amount recovered by them could be less than 25 per cent. The film is still in the first week of its release. While distributors will be among the hardest hit, exhibitors will also have to incur huge losses. The extent of the loss each theatre owner will have to bear will depend on the nature of agreements signed between distributors and exhibitors. Talking about his upcoming film Eedo Rakam Aado Rakam that also stars Vishnu, actor Raj Tharun says that it’s a confusion comedy. “Director Nageswar Reddy gave me a Punjabi film’s CD to watch. I enjoyed it a lot and then he narrated the story. 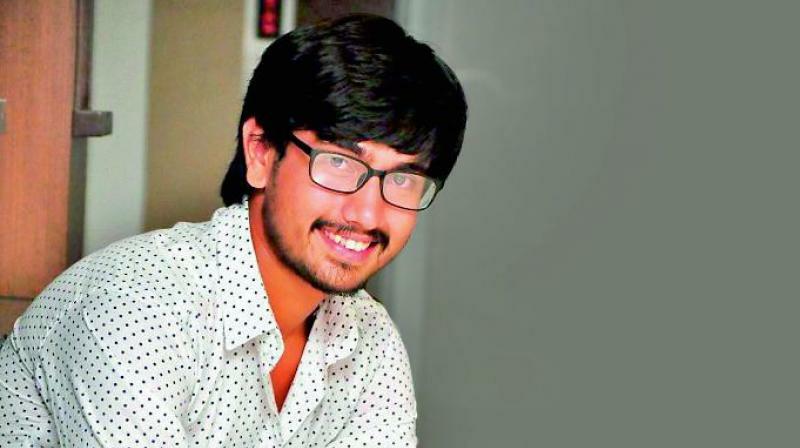 I liked it and agreed to do it,” says Raj Tharun. Senior actor Rajendra Prasad is also playing a key role. “Initially, I was a scared as he is a senior. But in the sets he mingled with everyone ,” says the actor. Vishnu is the other lead actor in the film. Many people said that Mohan Babu’s family was dominating, but they treated everyone as family. We both have good rapport in the film,” he says. Virat Kohli and AB de Villiers toyed with the Sunrisers Hyderabad attack to fire Royal Challengers Bangalore to 227/4 in the team's opening match of the Indian Premier League here on Tuesday. The two leading batsmen in world cricket tore apart the opposition attack with a 157-run stand off 87 balls after the early fall of opener Chris Gayle. Kohli (75 off 51) carried on from where he left off in the World T20 as de Villiers (82 off 42) did his demolition act from the other end. 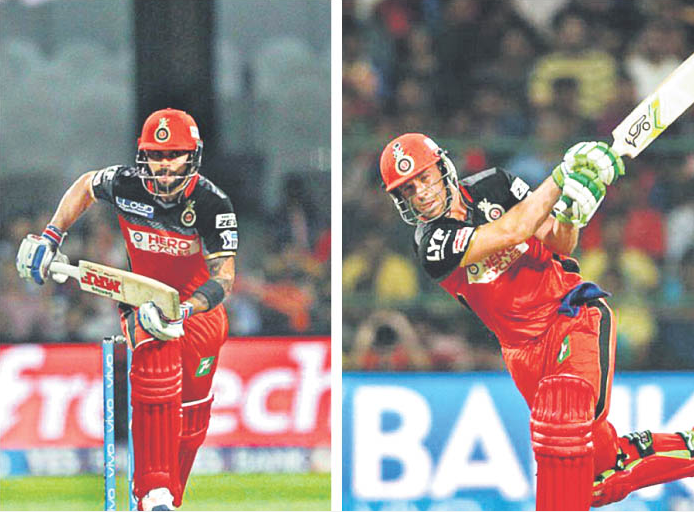 Both of them batting together was a sheer treat for a noisy crowd gathered at the Chinnaswamy Stadium. While Kohli, who opened with Gayle, enthralled the fans with proper cricketing stokes, the South African gave a masterclass in clean hitting. There was little what Sunrisers skipper David Warner could do to contain the two champion batsmen after he put the home team in to bat on a belter of a pitch. The extent of hitting was such that even a usually economical Ashish Nehra felt the heat on a ground that has seen most sixes in the IPL. The pacer limped off the field after bowling just 2.1 overs in which he conceded 21 runs, leaving his troubled team short of options. Kohli's classy innings comprised seven fours and three sixes. Are Pratyusha’s parents also responsible for her suicide? The Khar resident, who worked for Pratyusha Banerjee, says she was witness to the actress’ mother and boyfriend Raj fighting with her frequently to gain control of her finances. 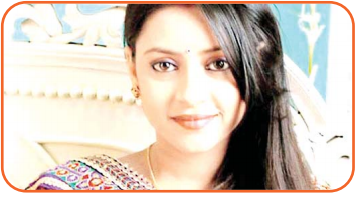 Television actress Pratyusha Banerjee had allegedly tired of both her parents and boyfriend Rahul Raj Singh’s nagging. Hoping to clear the air around her sufferings once and for all, Ruchika Saxena (name changed), the 34-year-old former domestic help of the actress, told mid-day on Saturday that Pratyusha’s mother and Rahul fought with her frequently to gain control of her finances. Saxena, a small-time model from Khar, said she was struggling to make ends meet when she was introduced to Pratyusha. She began working a s a maid at the actress’ residence in Kandivli in December last year and followed her when she moved to Goregaon. 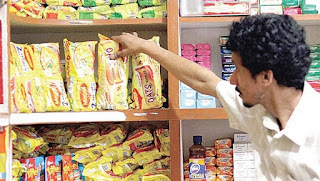 Maggi noodles has passed all the safety tests ordered by the Supreme Court and the National Consumer Dispute Redressal Commission (NCDRC), according to a Nestle India statement on Monday. According to the company, all tests conducted on 29 samples of the instant noodles by the Central Food Technological Research Institute (CFTRI) laboratory in Mysuru came out negative for any excess lead or artificial monosodium glutamate (MSG) content. 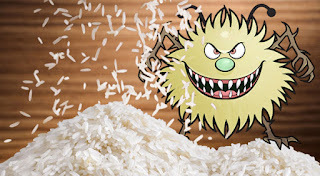 “Every single sample was found compliant. 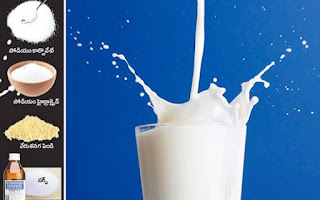 The CFTRI has clarified that glutamic acid can be due to presence of ingredients like tomatoes, Cheese, Hydrolyzed Plant Protein, Hydrolyzed Vegetable Protein etc and has further stated that there are no analytical methods to distinguish between naturally present glutamic acid and additive MSG”, Nestle India added. 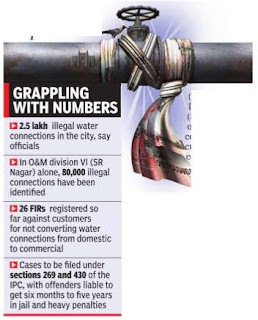 Faced with a severe water crisis and poor revenue collections, the Hyderabad Metropolitan Water Supply and Sewerage Board (HMWS&SB) has decided to file criminal cases against commercial establishments that have domestic water supply connections. Cases will be filed under sections 269 and 430 of the Indian Penal Code, with offenders liable to be punished with six months to five years in jail and heavy penalties. “We have registered 26 FIRs against customers for not converting water connections from domestic to commercial and for having illegal connections.All the cases are pending in the police stations,“ said A Pradip Reddy, chief vigilance officer of HMWS&SB. Now, raids will be intensified in all divisions and criminal cases will be registered against rule violators, said Reddy.“Once the crime is proved in the courts, they will be punished according to the law,“ he added. Lashing out at police commissioner P. Prakash, district Collector A. Shaina-mol on Monday said the mishap at the Puttingal temple, which claimed 109 lives on Sunday, was due to the negligence of the police and that it was the duty of the police to implement the order, but has failed to do so. “It is childish that the police commissioner has said that the temple authorities had misled the police. In case of a magisterial order, it is not the duty of the judge to go and implement it, but the duty of the police officers concerned to assure that the order is done,” she said. Mr Prakash had earlier claimed that the temple authorities misled him by saying that they had received an oral permission to conduct the event. 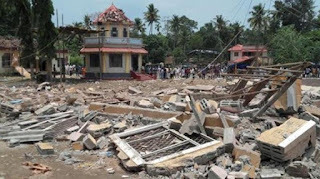 The district magistrate had ordered not to give permission to conduct competitive fireworks at the temple. The police could have prevented it if they abided by it.